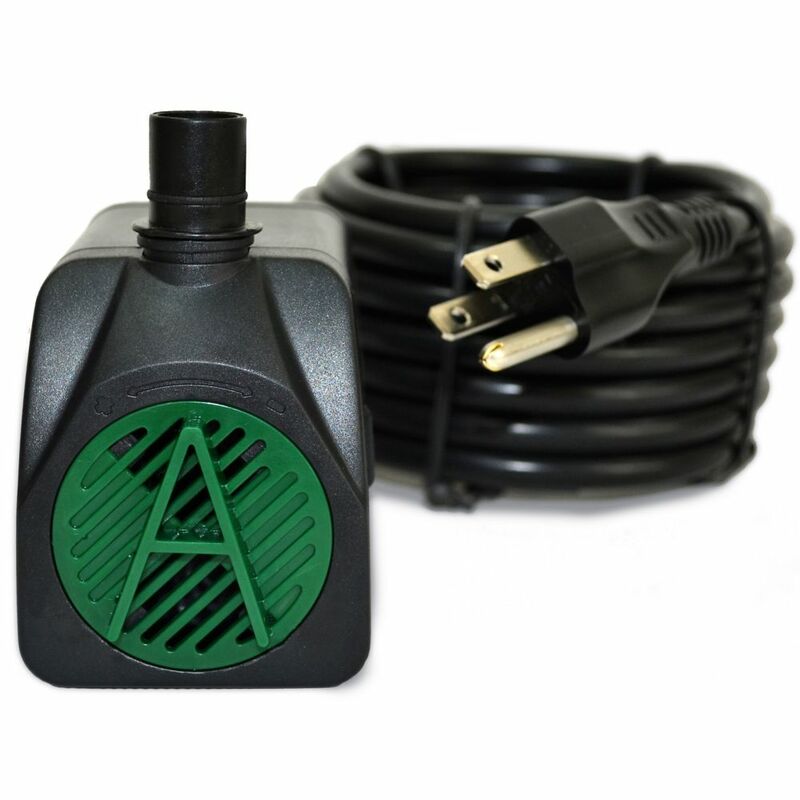 Algreen's MaxFlo WaterFall Pumps all have magnetic driven motors for extended life and increased durability. This MaxFlow, Pumps 5,500 Gallons Per Hour, is for under water use and is ideal for an impactfull Waterfall. The pumps can be positioned vertically or horizontally for various pond configurations. This Pump has a filter grid to protect the motor from large debris, 16 ft Power Cable and is Fish Friendly. This Energy Efficient Pump is U.L listed with a 2 Year Warranty. 170 GPH Pump with Safe-Stop Technology Energy Efficient, Low Operating Cost. Safe-Stop pump protection prevents operation when water levels are too low.